When discussing lithium, most people associate this element to the lithium batteries that are found in computing devices such as laptops, smartphones and tablet devices. Yet lithium is a metal that is used throughout a range of commercial, manufacturing and industrial processes including the aviation and aerospace industries. Lithium is considered an alkali metal and is the lightest solid metal. It has a silvery white appearance and is very soft to the point where you can cut it with a regular knife. Lithium has many different properties. It is a very reactive metal to water, oxygen, hydrogen, carbon, and nitrogen. It can form into peroxide, monoxide, black nitrure, carbure, lithium hydride, and other organic and inorganic reactants. The alkali metal also has low viscosity, and very low density. It can increase the fluid properties of other alloys that this metal is added into. In addition, the metal has a high heat capacity and is used in heat transfer applications. When used during the application process, lithium provides strength to other metal alloys without impacting the metal’s weight or conductivity. It can also increase the corrosion resistance in certain alloys. Lithium is often used as a scavenger element when added during the refining process of iron, copper, zinc and nickel. The lithium will attract nonmetallic elements out of the refined metals that can cause gas holes and porosity during a process called deoxidation and degasification. What makes lithium so ideal when removing impurities such as sulfur, oxygen, nitrogen, hydrogen and carbon is that the lithium doesn’t impact the conductivity of copper alloys. The lithium will also completely melt into the molten metal without causing a disturbance or unwanted reaction. The benefits that lithium adds to other metals and organic/inorganic elements are varied. When used during organic synthesis, the lithium plays an important part as the polymerization initiator when creating synthetic rubber. If pure lithium is used with other elements, it can become an anode for non-rechargeable batteries due to its negative electrochemical potential as it can store energy. When created into inorganic lithium hydroxide, it can become a thickening agent. So it is used when manufacturing grease as companies use the lubricant for moving components. Lithium is also desired when welding and soldering. It assists in the fusing process for metals. It is also used as a flux for enamels, glass and ceramics. Lithium can be alloyed with aluminum, copper and other alloys to improve their mechanical and chemical properties. Lithium alloyed with copper allows for the creation of a highly conductive and pure copper during deoxidation and degasification. 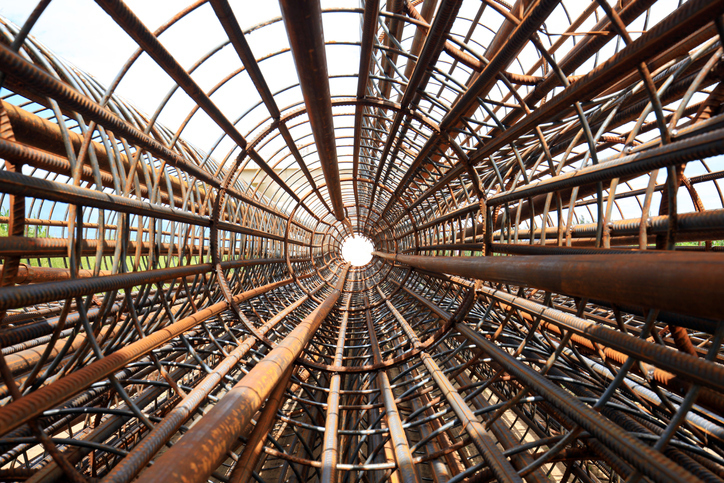 When placed into magnesium, lithium adds more corrosion resistance as well as tensile strength. Aluminum alloys obtain immense benefits from lithium. Aluminum is used in large quantities in aircrafts due to the lightness of the metal. However, aluminum by itself can be too weak for certain applications. When lithium is added, it strengthens the aluminum as it obtains the physical and tensile strength properties similar to mild steel. The lithium aluminum alloy retains its lightweight properties while being strong enough to be used in the creation of aircraft parts. The range of applications for lithium when added to copper, aluminum, magnesium, cadmium and other metals are numerous. In addition to creating airplane parts, other applications include radiation shielding, bearing assemblies and nuclear reactor coolants. Brooklyn-based non-ferrous metal manufacturer Belmont Metals provides lithium, copper lithium, and aluminum Lithium alloys for your many manufacturing uses. You can obtain lithium-alloyed metals in various forms such as ingots, slabs, polished pieces, and custom forms. Reach out to our company today to discuss your manufacturing application needs.